​ Do you need to advertise? Although we can handle your advertising campaign anywhere in the United States, we specialize in direct mail advertising and digital marketing in Dallas-Fort Worth because we are based here. We generate leads and help local businesses get new customers with our signature red, white, and blue direct mail envelope, our consumer friendly coupon website & our smart phone app for iphone and android. Most homeowners in DFW receive Money Mailer coupons in their mailbox and use our coupons to get goods and services at a discounted price. We are the local advertising leader in the DFW Metroplex since 2004, and we're dedicated to helping local businesses grow and keep more of their customers. We offer a unique variety of marketing solutions to target consumers through the mail, mobile phones, and online. The Money Mailer Dallas envelope is mailed monthly to 610,000 selected homes in Dallas-Ft. Worth and millions more nationwide. You can select zones that are mailed to 10,000 homes per month. Consumers want discounts and we can put your business in front of the right consumers in your target market. If you need leads now, call us. We can implement the right strategy to boost your sales. In Dallas direct mail advertising can be a very important component to your marketing plan. ​Our oversized red, white and blue envelope stands out and attracts more attention than our competition. Money Mailer Fort Worth breaks through the clutter of junk mail and gets noticed. Call us today for your own customized marketing program. ​We have many local business owners who are long term, happy clients of ours that invest in Money Mailer month after month, year after year. In Dallas Money Mailer is a great way to reach new customers for your business. Fort Worth Money Mailer are designed evenly and reach almost 300,000 homes a month. 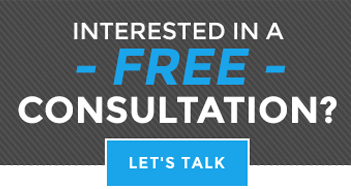 If you need to grow your business, give us a call for a no-obligation marketing consultation. Whether you need direct mail advertising or digital lead generation, we can help you get new customers in the door. The Dallas Money Mailer zones are designed so that you get the most reach to the very best consumers. In Fort Worth Money Mailer is the very best source for DFW coupon advertising. Money Mailer your local marketing partner. We’ll provide valuable and trustworthy recommendations for your campaign that will bring you the best success. We work hard to bring you the best response and client conversion. We want your campaign to be as effective as possible. As your local marketing expert, we're dedicated to helping you create the best marketing plan possible. Do you need a new website? We can help you with that. How about a digital marketing strategy? A lot of our clients use a click funnel to compliment their direct mail campaigns. We are happy to visit with you about the best way to get leads for your business now. ​We are a direct marketing Dallas agency, who thrives on generating leads for your business. Direct Mail Dallas. Direct Mail Fort Worth. ​Direct mail marketing is different than online digital marketing. We do both. There is a time and place for both types of marketing in a well balanced marketing plan. You can drive leads to your business multiple ways. We can get a direct mail plan in place and active within a week. Direct marketing can also be up and running very quickly. SEO on the other hand takes a lot of time when done properly. Click here to read about our digital marketing services. ​We work in all cities of the Metroplex. Direct mail Dallas is our business. We believe in using a hyper local, multi platform marketing approach that gets you more exposure in your trading area, and a better return on your investment! We target the right consumers in the right communities for your business through the mail and across all of our digital platforms. If you need to buy Money Mailer advertising, we can help you today. ​1. Low Cost - For only pennies per home, your ad is printed and mailed to thousands of homes, all inclusive. 2. Trackable & Measurable - You'll be able to count the coupons as they come back to you. And, we offer call tracking for businesses who don't get walk in traffic. 3. High Quality - Glossy, beautiful, two sided, half page ad. 4. Oversized Envelope - Large envelope that stands out in the mailbox. Much larger than our competition. 5. Dependable - Money Mailer DFW arrives in mailboxes the 1st week of every month. What does this mean for you? It quickly turns into increased awareness and exposure for your business right in your own backyard which results in more interest in your business from new customers, and an increase in your sales. ​​ Your highest return will usually come from the consumers who live closest to your business. Our goal is to bring you the best return on investment possible. Your ROI is important to us. We will are careful to pay close attention to your ad spend verses the number of phone calls and sales you make from the leads we send you. ​ If you're wanting to send out postcards to get new clients for your business, read more here. Direct Mail Advertising Fort Worth Texas. ​Direct Mail Advertising Dalllas. 1. A beautiful & compelling ad is created for you by one of our professional graphic designers. 2. Your two-sided ad is printed on large glossy paper. 3. We mail your ad flier in the Money Mailer DFW envelope to the exact zones that you select. ​4. Watch the response come back to you. There is no need to cut out coupons. Our half page fliers are easily folded, stored in a wallet, purse and hung on the refrigerator. Many of our clients start getting responses from their ad the same their ad arrives in mailboxes. And, they continue to get new business months after the ad is distributed. Direct mail advertising Texas works. Let us help you grow your business! Coupon advertising Dallas is our specialty. In DFW, we mail to 61 zones (each zone is 10,000 strategically selected homes) every month. You may choose the zones that best suit your needs. Check out the Money Mailer Fort Worth Zone Map to see how are areas are laid out or call us for any questions at 817-251-1407. If you want advertising in Texas, we can help you. We can place your advertisement anywhere Money Mailer is distributed in the United States. We place ads for clients in Dallas, Fort Worth, Houston, San Antonio, as well as many other states like Georgia, Arizona, Illinois and California. Money Mailer is distributed all over the USA. We can place your ad wherever you want your ad mailed. I've been using Money Mailer for many years. It's the best form of local marketing I can think of. Money Mailer brings me so many new customers every month I can't count them all. I highly recommend them to any business wanting to grow. We have affiliates across the United States we trust to help small businesses. These companies are trusted, high quality companies who can help design websites, offer direct marketing services and excellent lead generation. Click here to find web design in Spartanburg, or go to www.sptbgwebdesign.com. "I have used other forms of marketing in the past and Money Mailer is the best. They have driven leads into my business for years and they are proven to be the best bang for the buck. Call these guys. They will help you generate new customers and grow your business!" "Money Mailer advertising has helped me grow my business more than any other form of advertising. I see phenomenal results every time the mailer arrives in mailboxes. Sometimes I get very large sale from leads that come from the Money Mailer envelope. I have been a client for over 10 years and I will continue to use their services." "Fort Worth Stump Grinding has advertised with Money Mailer for the last 3 years and it's just awesome. We highly recommend this service."